The World Bank keeps data on the amounts, sources and destinations of money flows around the world. Money borrowed from the International Monetary Fund, World Bank or private organizations with the aim of aiding development projects. The loaned money needs to be invested wisely to get a return to service the debt. Interest repayment rates can fluctuate with the global economic markets. 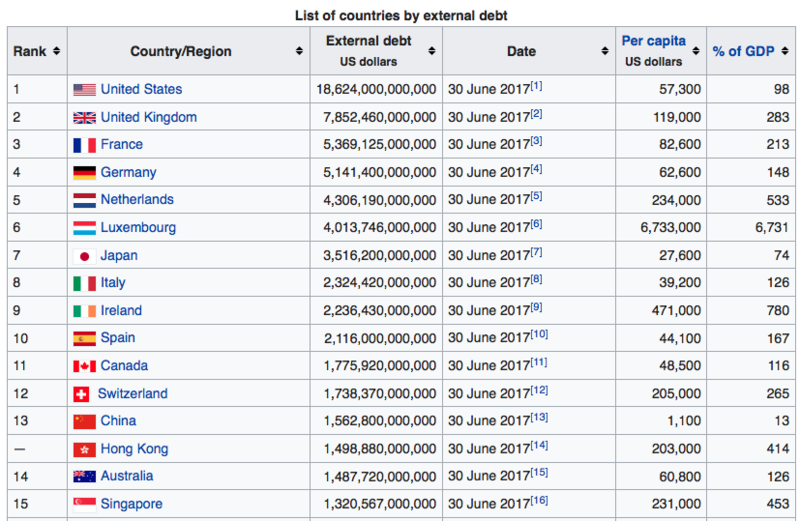 Which countries owe the most? See below. Germany lends money to Greece – CBS News Kiva.org helps small businesses obtain loans from microfinance providers. Debt is money owed: either the original sum borrowed or interest charges levied on the original sum. Debt service is the process of repaying a loan according to an agreed schedule. High debt service payments are often blamed for reducing government revenue, and thus resources for health and education. As a result, there are increasing calls for debt relief, which is a term used to describe the process of either forgiving or reducing debts held by poor countries. The Human Development Report 2002 from the United Nations Development Programme (UNDP) shows that, among 50 African countries, at least 29 recently spent more on debt service than on health. 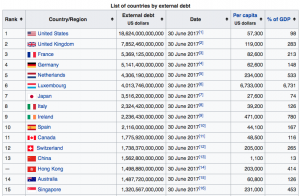 At present 41 countries are classified as heavily indebted poor countries (HIPCs) – 33 in Africa, four in Latin America, three in Asia and one in the Middle East. The main objective of the HIPC initiative is to reduce debt in these countries to a sustainable level, thereby releasing extra budgetary resources for poverty-reducing expenditure, including expenditure on health. Development aid or development cooperation (also development assistance, Official Development Assistance (ODA) or foreign aid) is aid given by governments and other agencies to support the economic, environmental, social and political development of developing countries. It is distinguished from humanitarian aid by focusing on alleviating poverty in the long term, rather than a short term response. There tends to be a grant element to distinguish from a loan. Note – capital flows of development aid is much lower that FDI flows. A remittance is a transfer of money by a foreign worker to his or her home country. The Guardian – Remittances: How much money do people send home? The purchase of land, equipment or buildings or the construction of new equipment or buildings by a foreign company. FDI also refers to the purchase of a controlling interest in existing operations and businesses (known as mergers and acquisitions). The return of something, usually money or profit, to the country of its owner or its origin. Who wins from China’s export growth? This article from the Guardian considers international capital flows from richer nations to poorer nations to help deal with climate change. Are richer nations playing with numbers?